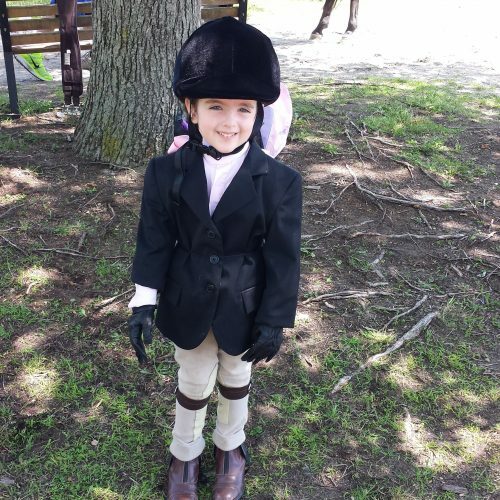 If you are competing in elementary rider (first year competitors only) a clean, collared shirt is acceptable instead of a show shirt or show coat. All other riders must have complete show outfit to compete. Equitique or Dover Saddlery or Horsemen’s Outlet (new and used items available) are great options for finding everything you will need. Please see Ann if you are having trouble obtaining anything for any reason.